It might have been short - but it was good! This crew was all born in February and they give us a reason to celebrate each year! Our little annual celebration is so much fun, and something to look forward to. We simplified our normal taco bar to picking up pizza & salad and I was so thankful for the minimal prep and no dishes afterwards. A husband who left early to do chores and let me sleep in until 7:30 on Saturday. Jersey milk cows who do their job, and enjoy a little long stem grass hay after feeding their calves. Baby calves with scours that responded to electrolytes. Reliving the fun of February birthdays as I tossed the piles of pizza boxes into the dumpster. Taking in my first bull sale of the season up in Eltopia, and a nice drive there. Panda Express - an easy dinner after the sale that is a treat for both of us. A house remodel that is making progress. They pulled the foundation boards, framed in the floor and packed the gravel for our cement parking slab. Rollin' Rock bulls that are hammering at the bunks. 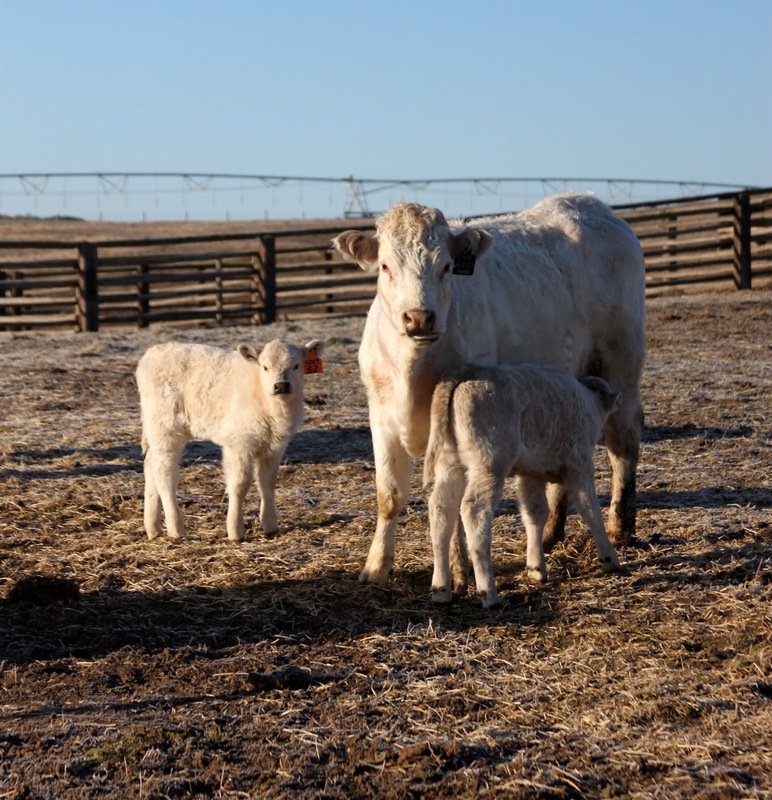 Charolais calves that are bucking & playing, and nursing & growing. Double M calves that are getting bigger by the day. More of those baby calves entered in the software in anticipation of branding. Frosty mornings that gave way to sunshine that warmed our backs during the day. Chicken salad for lunch at Last Chance. Blurry pictures, crazy bangs and smiles on both of our faces. May it be filled with so many things to be thankful for.